As a full-time working wife and mommy of 2 little boys, my free time is very scarce these days! I pride myself on providing healthy and wholesome meals for my family, but I can honestly say that sometimes it’s a struggle. There have been days when I’ve popped a few pizza rolls in the microwave and called it dinner! Hey, I’m human, I’m not afraid to admit that! Lol! 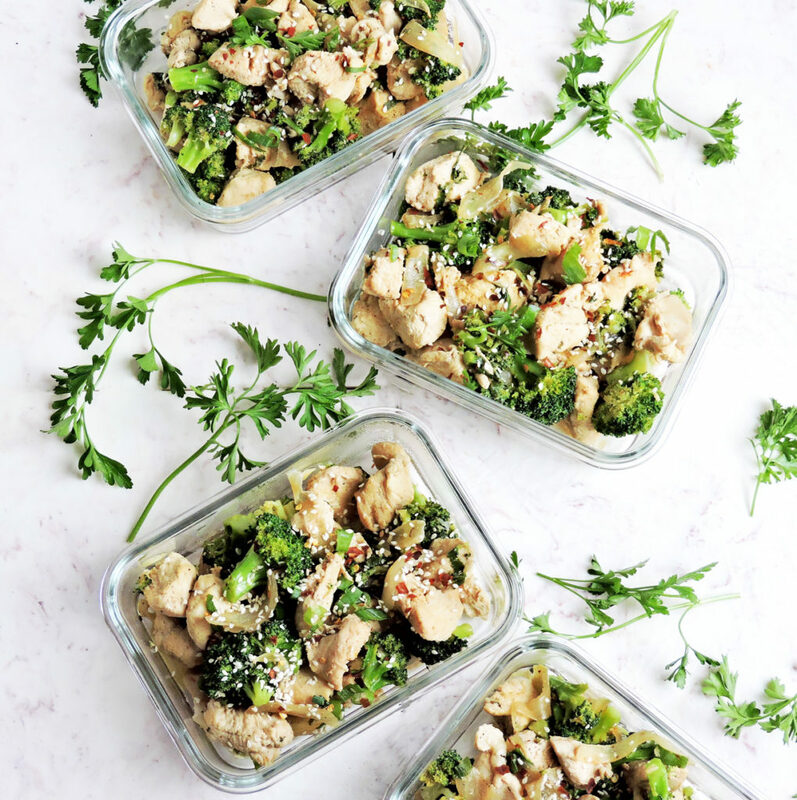 Instead of resulting to those microwavable meals that don’t have much nutritive value, I decided to come up with a few ‘go-to’ recipes that don’t require a lot of time to prepare and contain much healthier ingredients! 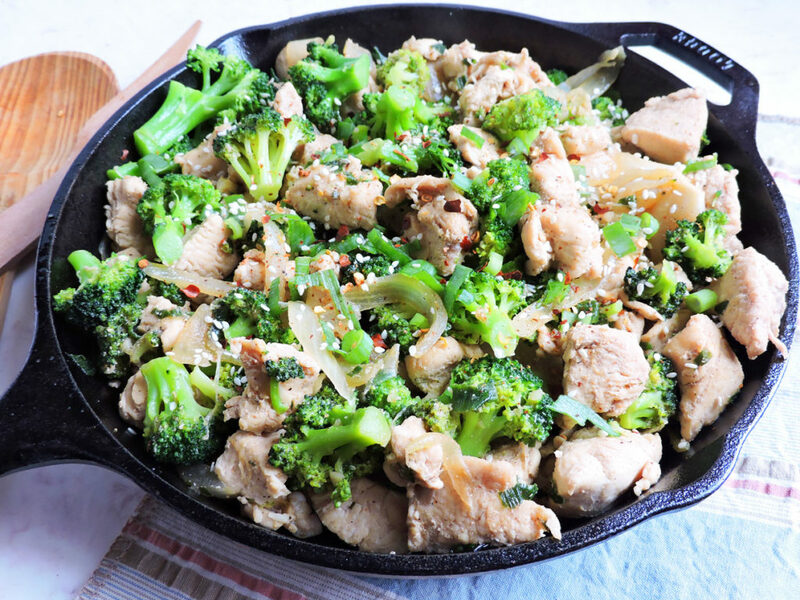 One of my favs is this One-Skillet Sesame Chicken & Broccoli! When preparing this meal, this is favorite skillet to use! 15-Inch Pre-Seasoned Cast-Iron Skillet I am fairly rough on cookware, lol, but this skillet has managed to last through it all! This meal is so easy to make because you only use one skillet, which makes clean up A LOT easier too! 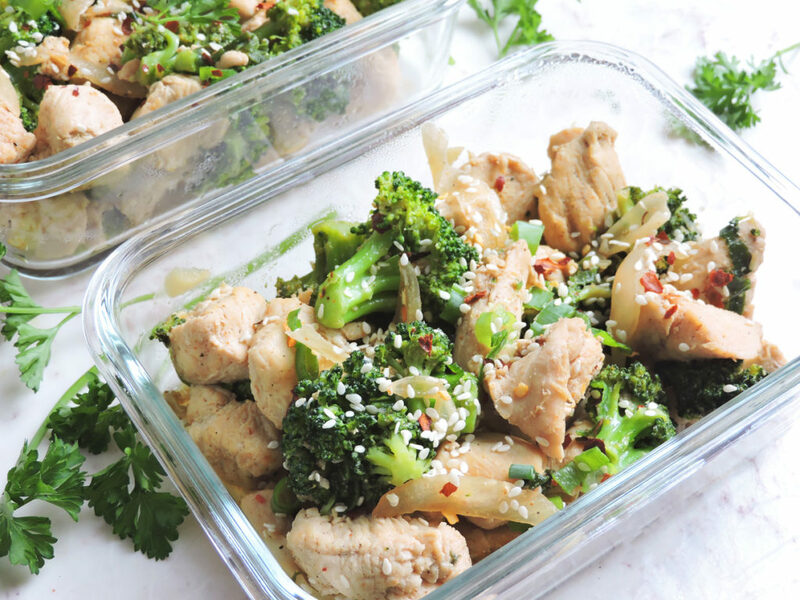 I addition to using this meal as a quick, healthy dinner option, I like to use this recipe as a part of my meal prep! (These are the most perfect meal prep containers in the world! [5-Pack] Glass Meal Prep Containers – BPA-free, Microwave ). I am a true advocate of meal prep because it helps to keep my family on track and it helps to lessen the chaos throughout the week! Not only do I prep my meals, I also prep a lot of other things too! You might classify me as a prepping maniac!! I prep my kids’ school clothes, their snacks, lunches, my clothes, my shoes, etc… I know that I may sound a bit obsessive, but it works for me and my family! Lol! Sunday is the day I meal prep. I only meal prep breakfast and lunch, and then I come home and cook dinner with the hubs. I look forward to cooking dinner with my husband. We use that time to talk about each other’s day and just enjoy each other’s company. I am planning to add more of my weekly meal prep ideas to give you some inspiration! 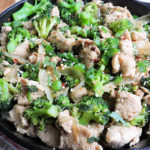 I hope that you will add this recipe to your meal prep collection and continue to check back for more meal prep recipes! Add garlic, onion, and green onions. Sauté for about 5 minutes. Add chicken and season chicken with paprika, Creole seasoning, and red pepper flakes. 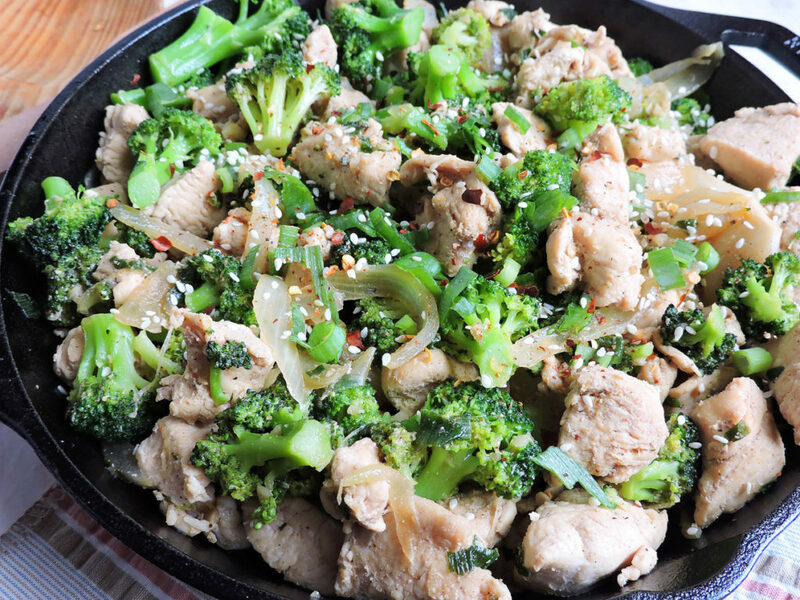 Cook for approximately 10 minutes and add broccoli and soy sauce. Cook for an additional 10-15 minutes, until chicken is completely cooked throughout. If desired, sprinkle sesame seeds and additional green onions on top and serve. Made this for dinner and it was delicious !! I just love your recipes! Hi Ebony! I’m so glad you enjoyed it!! Thanks for giving me your feedback!! ? No problem !! Keep the recipes coming ? I sure will, thank you!